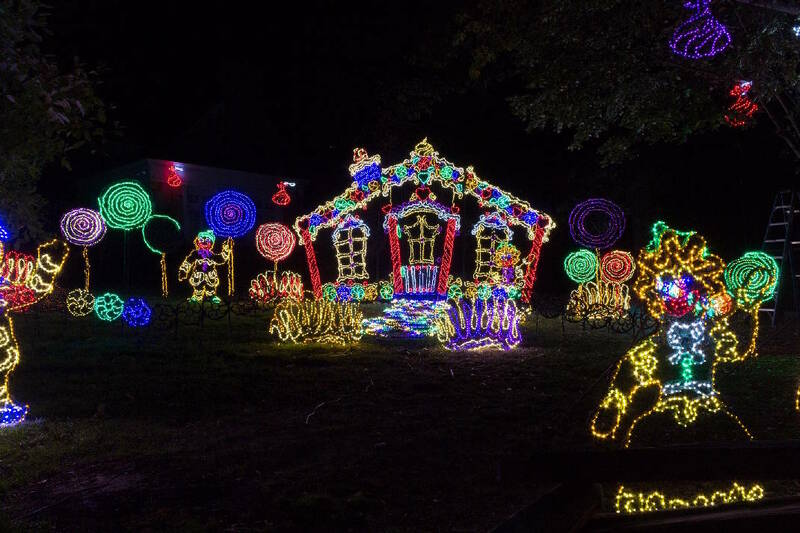 Rock City Garden's daytime splendor will transform into a winter wonderland for the 23rd year when the Enchanted Garden of Lights opens Friday, Nov. 17. The holiday tradition returns with almost a million LED lights and 30 holiday scenes in nightly light shows from 6 to 9 p.m. through Jan. 6. "New this season along The Magic Forest section of the Enchanted Trail is an immersive journey through dancing trees," said Will Jackson, senior manager of innovation for Rock City. "We partnered with local musician, Tryezz, to develop an original score for this part of the lights. This new enhancement really speaks to an aspect of our ongoing art initiative here at Rock City Gardens, where we make an intentional effort to support local artists and the local arts community." Guests can create their own holiday adventure as they enter through the historic roundhouse gates onto the North Pole Highway and choose which themed path to take first. The four "realms of wonder" include Arctic Kingdom, Magic Forest, Yule Town and North Pole Village. Meet classic Christmas characters like Santa and his elves, Mrs. Claus, Frosty the Snowman, Jack Frost and Inara the Ice Queen. Kids can also collect stamps in their adventure passport that offers activities and coupons. Nightly entertainers will perform in the North Pole Lodge, as well as select nights at Starbucks. Lee University's Ladies of Lee will be the featured musical act on opening night. Along the Enchanted Trail in the Arctic Kingdom, Blizzard's Pass leads to icy gardens with lighted penguins fishing and animatronic polar bears. The Magic Forest features new, original music through the Dancing Trees and the beloved Fairyland Caverns. Yule Town is the traditional route through the trail, displaying a classic vintage theme with the Legends of Christmas, which showcases symbolic meanings behind classic holiday icons. And North Pole Village hosts Santa and Mrs. Claus, where comfort and joy await. Children can enjoy decorating Christmas stockings and gingerbread cookies while warming up with some hot cocoa. A portion of every ticket sold will be donated to Ronald McDonald House Charities of Greater Chattanooga. For more info, visit www.seerockcity.com/lights.